What Matters Most: Such Lessons the Little Ones Can Teach! Some years ago, David Lawrence Mckay shared a story about his grandchildren at bedtime. Grandpa was given the privilege of helping with prayers. The three-year-old knelt at Lawrence's knee and began the precious ritual. When the simple, earnest prayer was over, the child remained kneeling and silent. Unusual! Most scramble into life again with demands for stuffed toys, bedtime stories, drinks of water, and yet another goodnight kiss. Not this one. The silence persisted until Grandpa questioned why the child didn't pop into bed. "Sh-h-h, Grandfather. I am listening!" Ah-ah! And shouldn't listening be part of all communication? Particularly with Heavenly Father. Such lessons the little ones can teach. I have this friend at school that is not a member of our church. One thing that I love is that she's pretty open about religion, and feels comfortable talking about it, even though she really isn't affiliated with any religion. 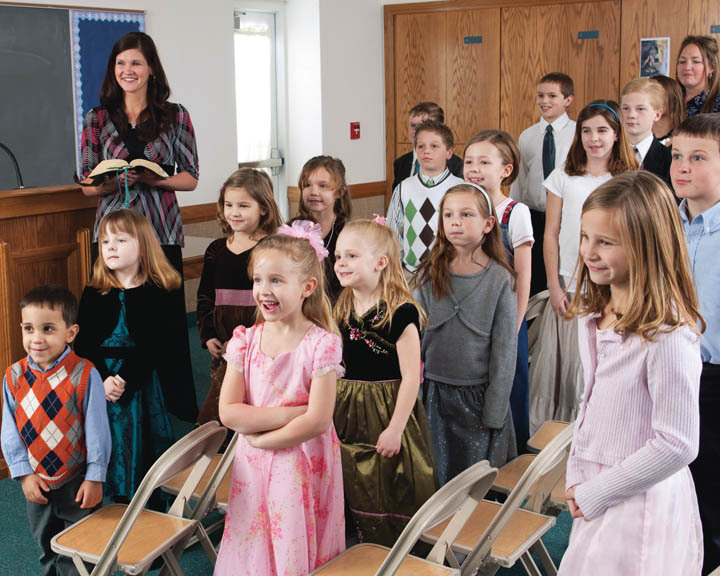 "We want to make sure that kids know what they're doing and that they believe in the church." "But you can't really expect an eight year old to say that they know that the church is true, at least not with real conviction." 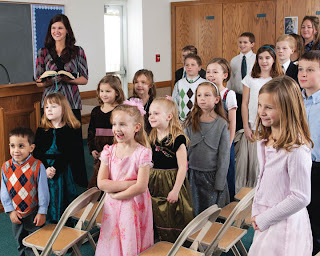 "It's true," I said, "Not all kids will say that they know that the church is true. The important thing about waiting until they are older is that they know what baptism is. They understand the significance of the choice that they are making to be baptized, and understand the promises that they are making by doing so." I was thinking after... I would never underestimate the testimony of a child. In fact, they sometimes appreciate the gospel more than older people. As people grow up, they are influenced by what the world says. As their own knowledge increases, they sometimes start to doubt, and think that they are smarter than their church leaders. It's a sad thing. The thing about young children... is that they trust perfectly. I know that when I was a young child, I didn't know all that I know now. My testimony has grown so much since then, and different experiences have helped it to grow. There are a few things, however, that I did know. I never doubted that there was a God. I never doubted that Christ was the Savior. I knew that families are forever. I never doubted that there was life after death. I never doubted that Gordon B. Hinckley was God's prophet. These were things that I could bear my testimony on. True, I was lacking a lot of knowledge... but it didn't matter. I believed that the things that I learned in church were true. As I gradually matured, and as my testimony matured... I could say-with conviction- that I knew that the church was true. “If a child is not listening, don’t despair. Time and truth are on your side. At the right moment, your words will return as if from heaven itself. Your testimony will never leave your children. To finish... never forget that to enter God's kingdom, we must become as little children. 3- And said, Verily I say unto you, Except ye be converted, and become as little children, ye shall not enter into the kingdom of heaven. 4- Whosoever therefore shall humble himself as this little child, the same is greatest in the kingdom of heaven. 5- And whoso shall receive one such little child in my name receiveth me. Haley you are one special girl. Thank you!